Jeronimo Yanez was charged with second-degree manslaughter. A Minnesota police officer accused of fatally shooting a black man last summer has been fired after he was found not guilty of second-degree manslaughter. The city of St. Anthony said in a statement that the "public will be best served if Officer Yanez is no longer a police officer in our city." The city will offer Yanez a "voluntary separation agreement" to help him transition to another career, it said. After the verdict was announced, Castile's family addressed the media, applauding the efforts of Special Prosecutor Don Lewis and his team. 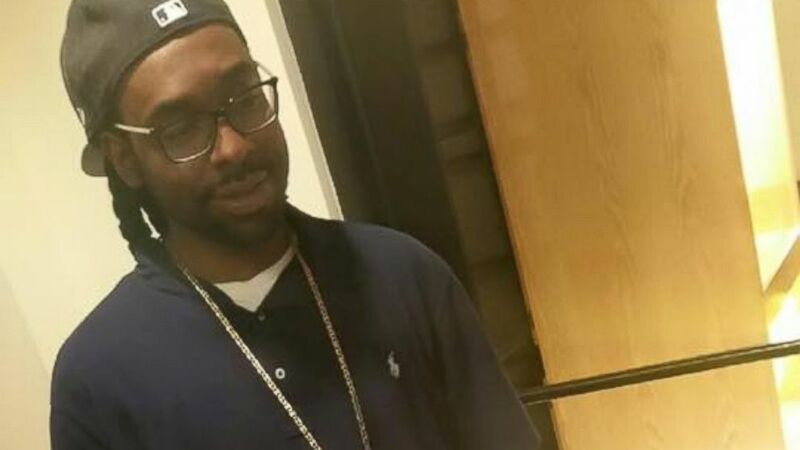 "I don't know what more could have been done," said Castile family attorney Glenda Hatchett. "I am disappointed. My heart breaks for this family. My heart breaks for this nation." Philando Castile's mother, Valerie Castile, said she was "mad as hell" with the verdict and called Yanez a "murderer." "The system continues to fail all black people," she said. She continued, "I am so disappointed in the state of Minnesota. My son loved this state." In a statement provided to ABC Minneapolis affiliate KSTP, Reynolds said she was "incredibly disappointed" with the verdict. "It's a sad state of affairs when this type of criminal conduct is condoned simply because Yanez is a policeman," Reynolds said. "God help America." Reynolds and her young daughter were in the car at the time of the shooting, and Reynolds live-streamed the aftermath on Facebook Live. The ACLU said that the jury's decision to acquit Yanez is "part of a disturbing national pattern of officers using execessive force against people of color, often during routine encounters." Castile was one of 1,092 people killed by police in 2016, said Teresa Nelson, interim executive direction of the ACLU of Minnesota. "While many officers carry out their jobs with respect for the communities they serve, we must confront the profound disconnect and disrespect that many communities of color experience with their local law enforcement," Nelson said. Castile told Yanez he had a firearm, according to The Associated Press, and video shows Yanez telling Castile not to reach for it. When Philando Castile started saying he wasn't reaching for it, the officer interrupted, saying, "Don't pull it out," the AP reported. Philando Castile was replying "I'm not pulling it out" as Yanez fired, the AP said. Defense attorney Earl Gray said that the "verdict was correct" and that the "jury worked hard." Another defense attorney, Thomas Kelly, that while Castile's death was a tragedy, he is "satisfied" with the verdict and "relieved" that the trial is over. St. Paul Public Schools, where Castile was employed as a cafeteria worker, described Castile as a "beloved employee." "This is a tragedy that impacts many people and lives in our community were forever changed," the statement read. Grief counselors will be available to speak to students and school staff. In a statement, St. Paul Mayor Chris Coleman described Castile as a "son of Saint Paul." "As people across our city, state and country react to the jury’s verdict, I urge each of us to move forward in a way that is peaceful and respectful of everyone – residents, demonstrators and police officers alike," Coleman said.